Officers: Steve Southworth (CA), Dave Deeley, Dave Ellis, Calum Mackenzie, Steve Paynter, Chris Price, John Taylor and Pat Thompson. Benjamin Webb, Nigel Williams, Timothy Williams, Gareth Woolmington, and Nicholas Young. As the sleeper-train clattered across the points outside Euston Station, the barmaid in the Rising Sun was washing the empty beer glasses left there. Any dutch courage the Leader and his Officers gained was quickly dispelled in the foyer of Euston Station, a short while later. A rotund perspiring figure clutched a newish looking clipboard, and demanded to know who was present, in a tone which attracted disapproving half glances from those in ear shot. Unfortunately the pitch of his voice went up as he raised his voice above the din in the station, and he was not making much progress. Time ticked by and the panic rose. Ignoring a worried mother who enquires if there would still be enough time to buy Sebastable a second anorak, he pushes through the sardined crowd and attempts to collect together his party. The ticket barrier acts as a parent-filter and imagining he can hear worried comments from mothers and sighs of relief from fathers, the collection of rucksacks, cameras and fishing rods battle their way through the barrier onto the station.
" I'll post it to you Sebastable Darling……." but the words are lost in the rumble of locos and station announcements. "Now let me get this clear," I say, "You were sleeper C14, but you've swapped with Quentin in C2; but that's only as far as Preston. Right? And after that Tim moves in here. No, Oh; Well if you're saving this one for Benny, where will Tim go? I see. He's moving into the one that the greasy posh kid had (yes I do know the one) down the other end of the train. What did he have to say about this? Oh well never mind. I'm sure you'll sort things out…." Aroused from an uncomfortable sleep, the train pulls into Preston station and disperses a thick cloud of cigarette smoke which is hanging over the heads of the Oldham party. 04.47 and Perth. Handshakes, nods, polite conversation about the role of Birch trees in highland aforestation policy, and a quick dash back to the comparative luxury of my British Rail shelf. 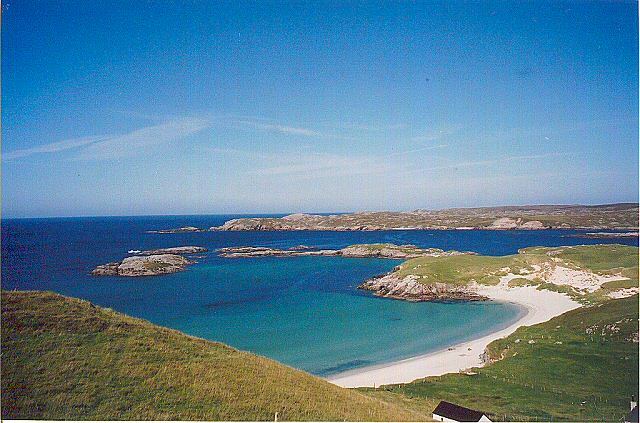 A curious fact about travelling to the Hebrides is that each stage of your journey is slower than the proceeding one. This means that each journey from the 90mph Intercity Overnight Sleeper train to the pre-war decrepit Blue Bus which finally rattles onto the Site; is carefully timed with the result that the closer you get to your destination, the slower you actually travel. This process is said to be beneficial - a bit like jetlag in reverse - as it enables the traveller to acclimatise to what is euphemistically called the Island's "Slower Pace of Life". 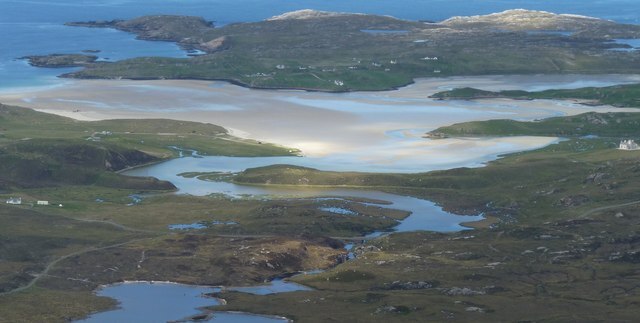 When the decrepit Blue Bus did finally rattle onto the broad flat expanse of turf at Uig Sands, and out tumbled officers and boys, it was clear that the process was severely defective. For infectious excitement was everywhere. With camp quickly set up, we set about exploring our surroundings. 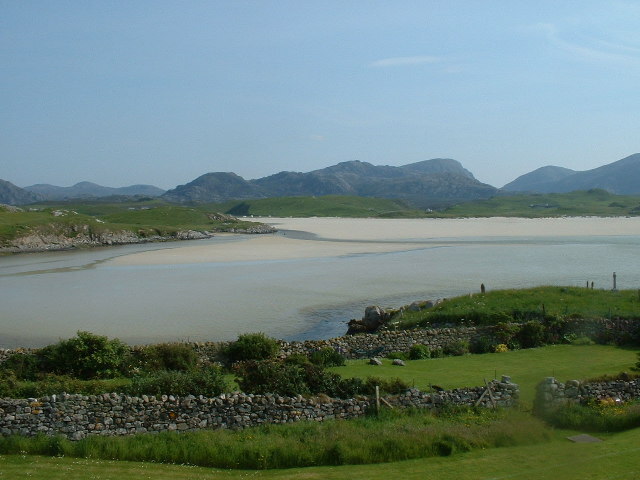 Each in his own way, whether through fishing or walking, climbing or sketching, bivvying or bird watching, or just soaking up Lewis. Four major bivvies were planned and many more could have gone out if only we bad had more tents and camping equipment. Only one significant piece of project work was completed - that of a Graveyard Survey of the old gravestones in Timsgarry, but the canoes were used often and a lot of climbing was done. It is easy enough for me to sit here and say 'canoeing and climbing were done’, but in reality, all these things happened solely because of the enormous amounts of hard work and unflagging enthusiasm which my officers contributed. Faced with a Leader whose inability to make decisions and sheer sloth were unparalleled in the SHS's long history, they largely created a successful expedition and should be given the credit for doing that. No single one deserves more praise than another but I must record special thanks to Steve Southworth, who CAed splendidly, and the other Steve, who seemed to climb every cliff face on Lewis (including a few which I suspect he wished he hadn't). Necessity being the mother of invention, the 'dryers' in the marquee quickly found a new purpose in life as toasters, and hot toast at every meal became a habit. Our home brewed beer (yes the rot has even set in on junior expedition) was the best expedition beer I have tasted, although fortunately for the officers, none of the boys were too keen on it. Finally what is there left to say? not a lot really but to those people who gave help so willingly. Thanks a lot.